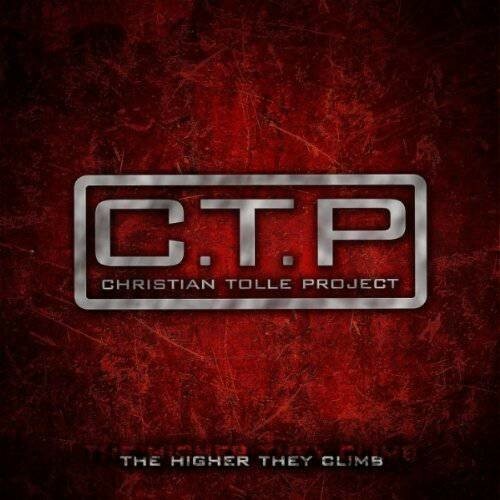 Christian Tolle is a German born former music journalist turned guitarist who started his own project with friends he made during his time writing. 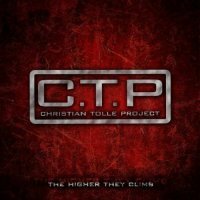 ‘The Higher They Climb’ is the third release under the Christian Tolle Project banner following a time spent in a band called Cooper Inc who supported the likes of Toto, Vengeance and Jorn Lande. Having worked with such luminaries as Steve Lukather, Tim Pierce and Michael Thompson in the past, the main protagonists this time round are Mad Max/Casanova main-man Michael Voss and Bangalore Choir vocalist David Reece. Reece contributes vocals to five of the album’s 12 tracks whilst Voss’s role as co-producer is also complimented by his role as singer, supplying lead-vocals to 3 of the remaining tracks. Former Rough Cutt and current King Kobra front-man Paul Shortino sings 2 songs as does Leon Goewie from Vengeance. There are also several smaller contributions from other guitarists, notably session legend Michael Landau. I’ve actually given quite a bit of time to this CD and it was spinning in the car’s player for the best part of a week before I moved on to another of this issue’s aural delights. After a few plays I found myself singing along to a number of the songs as they had a certain appeal without being anything special. Trouble is, looking at the track-listing on the back cover a few days later I can’t bring any of them to mind for the review so I have to play it again. At the end of the day I guess that’s the main problem. The album follows a basic hard rock blueprint but the songs are very similar in structure and tempo meaning there are no real standouts. It is left to each singer’s distinct vocal style to give some of the tracks any kind of identity. Those featuring Reece and Shortino have a slightly more American feel than the ones with Voss and Goewie which are instilled with a European flavour. There are no extended musical passages, the guitar solos work in the context of each song’s framework and are not just there to massage the egos of the players. Tolle comes across as a competent rather than flashy guitarist so ‘The Higher They Climb’ is more a showcase for his writing skills rather than his playing. It’s a solid release but by no means essential yet I’ve a feeling I’ll be spinning it again sometime in the future.